This 5W GU10 COB dimmable LED Bulb is perfect for Indoor commercial and home use; with low energy / high output technology, this bulb has achieved an outstanding A++ energy rating, saving you a considerable amount on electricity bills. 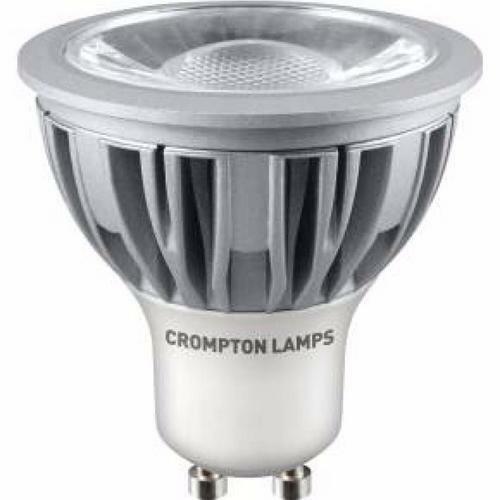 This 5W lamp has the equivalent incandescent wattage of 69W, and averages a 30,000 hour lifetime, massively increasing on the lifetime of standard incandescents bulbs, and offering a long term reliable solution. This bulb is also suitable for fire-rated downlights and is internally fused for added safety and peace of mind. Cost effective Commercial and home lighting.